The Washington Redskins expect to play their starters for about one quarter in their preseason opener against the Cleveland Browns on Thursday night. 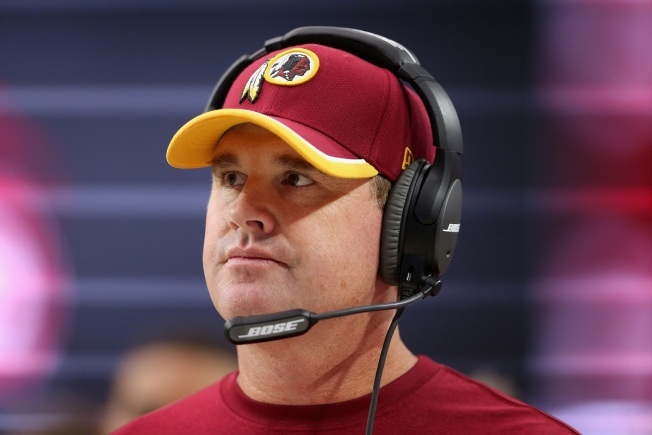 Depending on how the offense fares those plans could change, head coach Jay Gruden said after a walk-through Wednesday. But Gruden's primary goal is finding out who among the backups and rookies warrant a spot on the final roster. 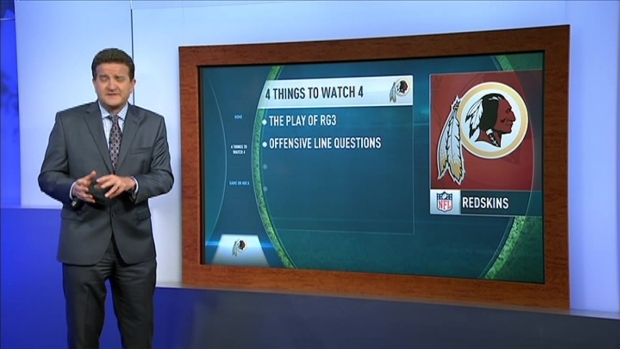 Dave Johnson tells four things to watch for when the Redskins take on the Browns in their preseason opener. Less urgent, he said, is getting the starters on the field together. The flow of the game will determine how much action starting quarterback Robert Griffin III gets, Gruden said. For the players battling for roster spots, Gruden has a list of things he's looking to see. “Offensively, we're looking for good tempo in and out of the huddle,” the coach said. “You're looking for assignment-sound football. We're looking for people to finish blocks. We're looking for quarterbacks to get the ball out of their hands, make the right decisions. Gruden said tight end Logan Paulsen has returned from a trip to North Carolina to see a toe specialist and could have surgery on his injured right big toe. Paulsen and fellow tight end Jordan Reed (hamstring) will both miss the game against the Browns. Also sitting out will be fourth-round draft choice Jamison Crowder. The wide receiver has been impressive in camp, but is slowed by a tender hamstring. Gruden said the team would rather be sure Crowder is ready to go for the second exhibition game.